All rooms showcase Plan Hotels trademark white theme - stylishly peaceful. 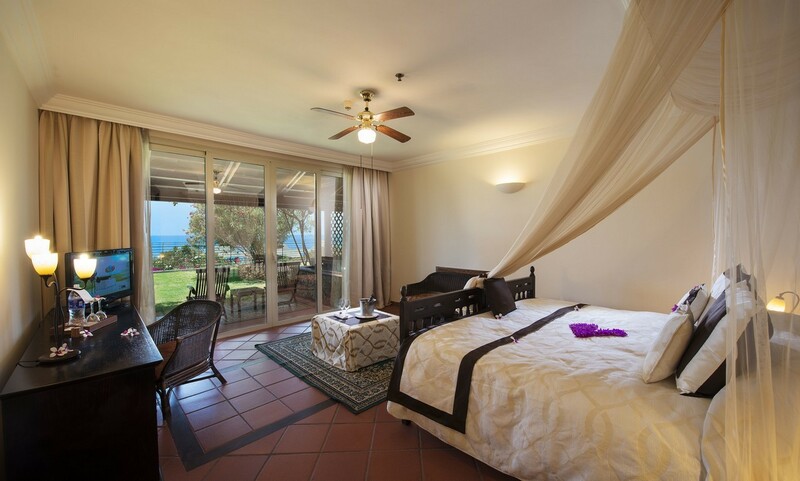 Each room has a private terrace and is surrounded by exotic tropical gardens. 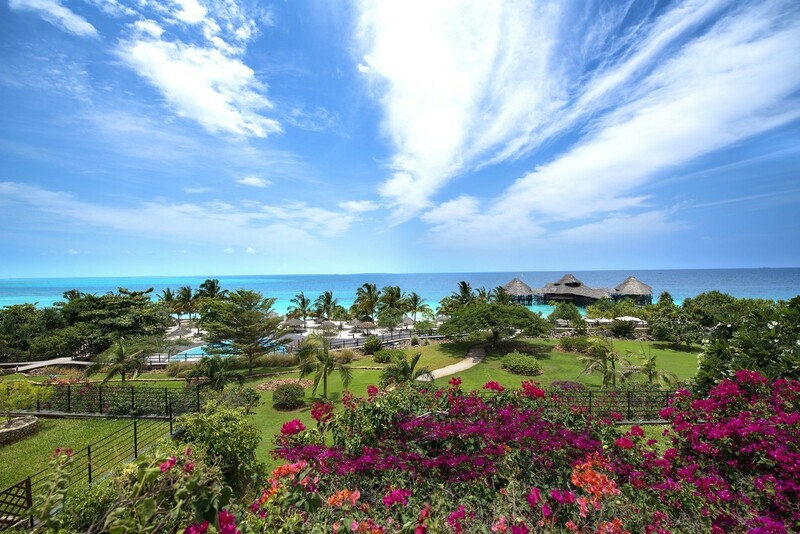 Four restaurants and four bars plus the weekly African Village barbecue with its traditional Masai entertainment and Masai market provide plenty of fleixibility on the resort’s all inclusive programme. For those that want to relax and rejuvenate the Mvua Spa offers amazing treatments based on African, Asian and European traditions. 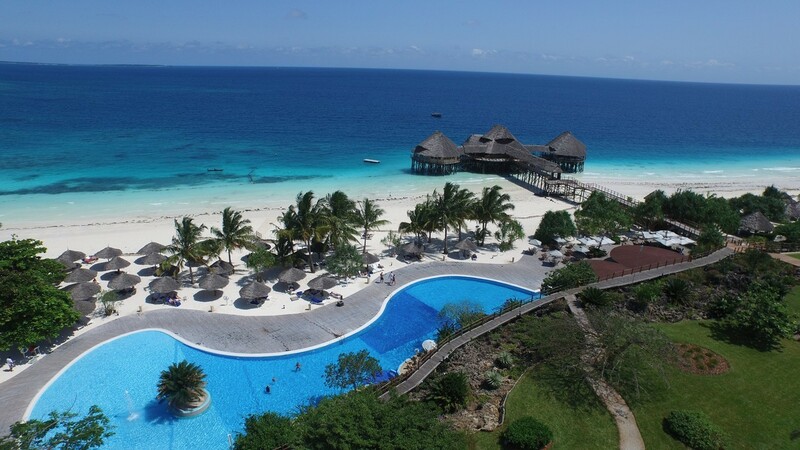 Gemma has possibly one of the best beaches in Zanzibar and a great dive and water sports centre too so you can fill your days with tons of awesome activities. The hotel also provides state of the art conference facilities for up to 220 delegates. With private terrace and garden access. With garden views and a large communal living room. With 5 bedrooms, a large communal living area, office, butler quarters and private pool with sea view terrace. With indoor (air conditioned) and outdoor dining facilities serving breakfast, lunch and dinner. Lavish buffets offer a fusion of Mediterranean cuisine together with favourite local dishes. A traditional barbecue evening is held every Thursday. The Tropicana Pool and Snack Bar serves drinks including beers, wines, spirits, local fresh juices, homemade ice teas, cocktails and more. The outdoor restaurant on the beach serves light snacks salads, homemade pizza from the show kitchen as well as a curry buffet at lunchtime. Selected items form part of the all inclusive – others are marked on the menus as carrying a supplement. 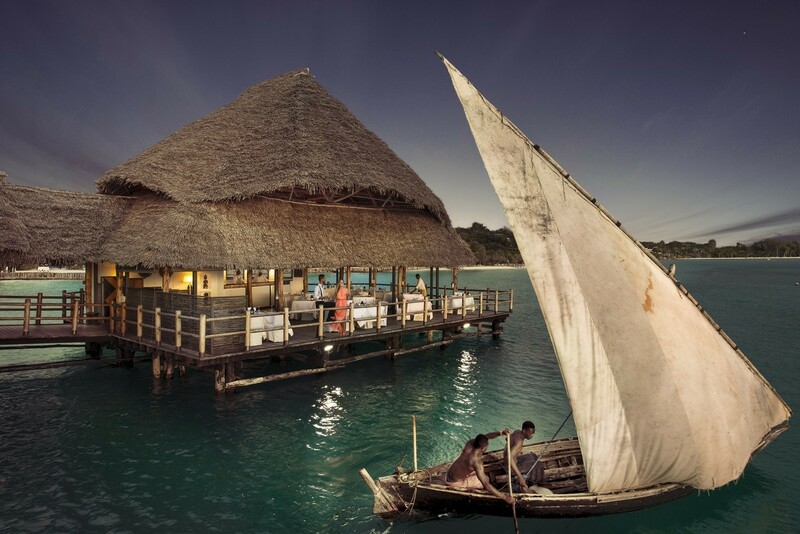 Located on the magnificent pier, this bar offers a wide selection of local and international cocktails and drinks with live entertainment and African shows. 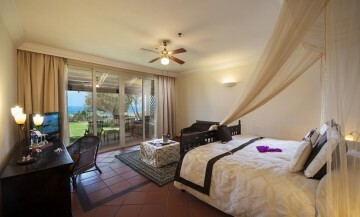 Located near the Pavillion Restaurant and serves all inclusive drinks during meal times with live music in the evening. Located near the reception offers all inclusive soft drinks and beers. Wi-Fi facilities available. Beach towels, sun beds and beach umbrellas. The convention centre is named after 2 monumental and ageless baobab trees around which it has been designed and caters to all conference, meeting and banqueting requirements. Organizing and catering services are available along with premium table settings, meeting amenities and audio-video equipment. The Baobab meeting rooms accommodate up to 160 persons for a sit down function or 300 for cocktail receptions. The grand ballroom divides into 3 separate rooms fitted with soundproof walls and has a board room offering the latest facilities. Rain is life, and life depends on it……. this is the concept behind Mvua African Rain Spa, a balanced oasis to calm the body and senses. Guests will be pampered by the skilful hands of the expertly trained staff.